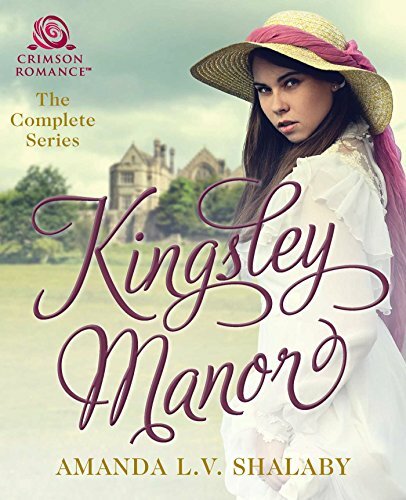 Kingsley Manor: The Complete Series was released on July 3rd. Today, I’m chatting with fellow historical author Betty Meyette on her blog. Click on the photo below to join us! Amanda Shalaby and I have been Crimson Romance “sisters” since our first books were published one month apart. Like childhood friends, authors who debuted with me will always have a special place in my heart. Welcome, Amanda. Tell us about the book you’ve written. Week 3 of the 2014 RONE Awards has arrived & the post medieval category is now up for voting! Voting will be open until March 30th. If you love Audra like I do, you can vote for her HERE! If you want to read Audra’s 5-star review at InD’Tale Magazine, you can check it out HERE. Thank you for voting (and reading)! Thanks to InD’Tale magazine & TJ McKay! Audra is now a 2014 RONE Award Nominee! Click HERE to read the 5-Star review from InD’Tale Magazine. Voting for your favorite historical begins March 24 – 30, 2014. I’ll post more details when the time arrives. Hope to see you there!